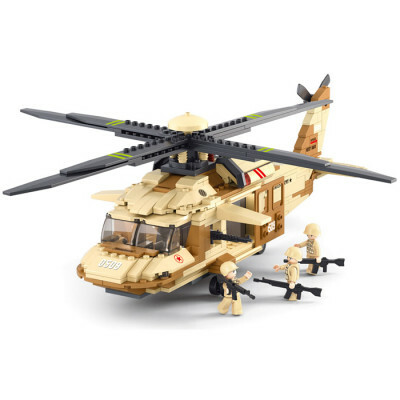 This set consists of 439 building bricks which can be assembled into a desert camoflaged blackhawk military helicopter. The set also includes a four soldiers with weapons and a step by step instruction booklet. 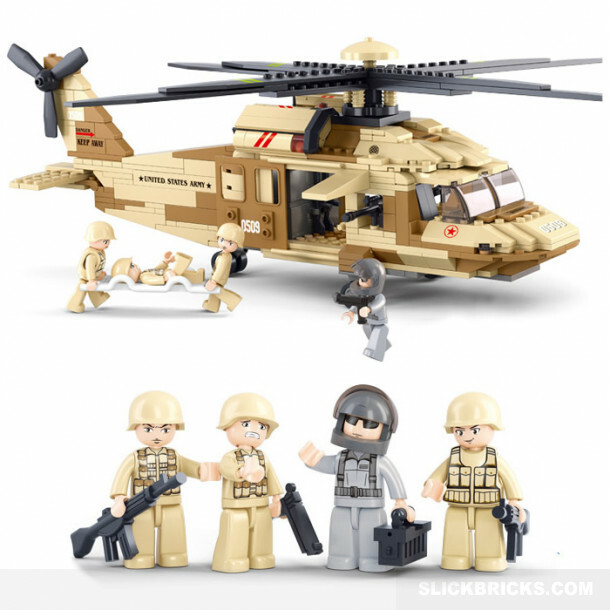 The set is part of a new series of blocks from Sluban which feature a new and improved minifig design with additional movement which allows the figures to tilt their heads and pivot at the waist. 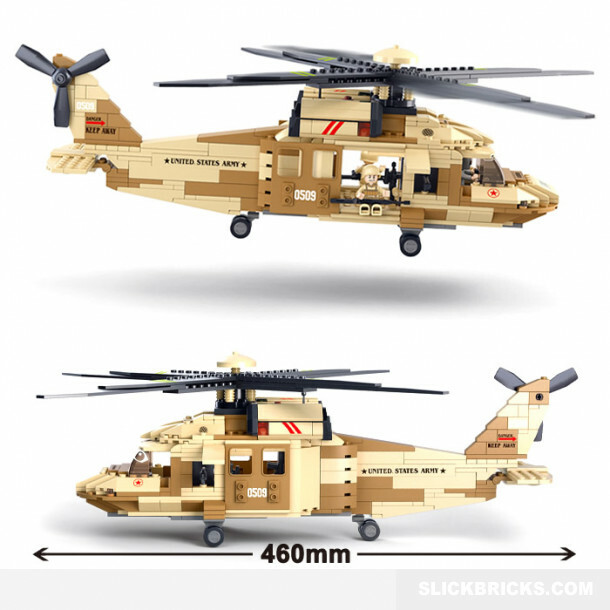 For those curious the Sluban brand is named after the Chinese inventor Lu Ban, renown for his creativity, and the blocks were first produced in 2004.